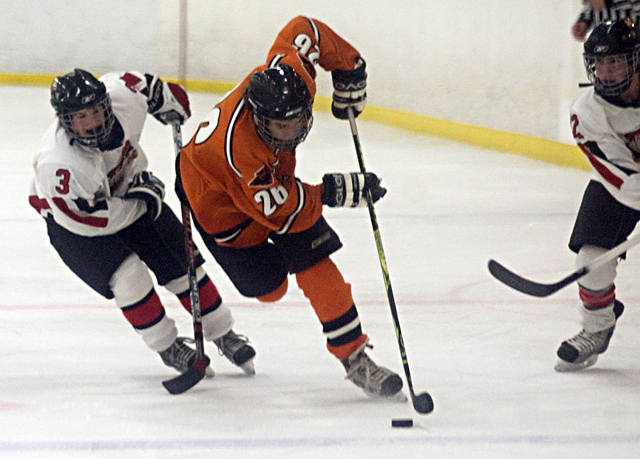 With time slipping away Thursday night, Park Rapids Area summoned one final burst. 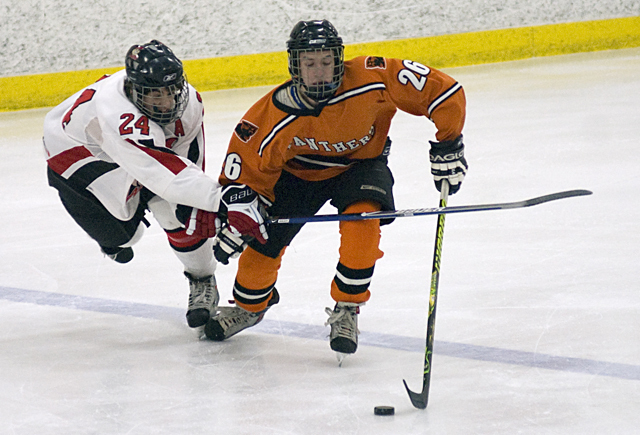 The Panthers, trailing by a goal with less than five minutes to play against rival Detroit Lakes, exploded for the game's final three goals to earn a 5-3 victory. 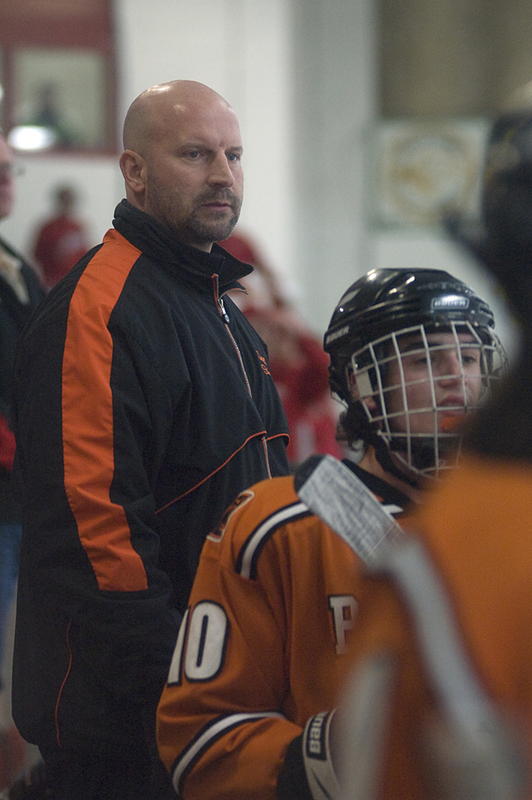 "We just went and attacked," said Park Rapids' coach Pete Stahnke. "We talked during out time out about getting the puck low and just attacking." 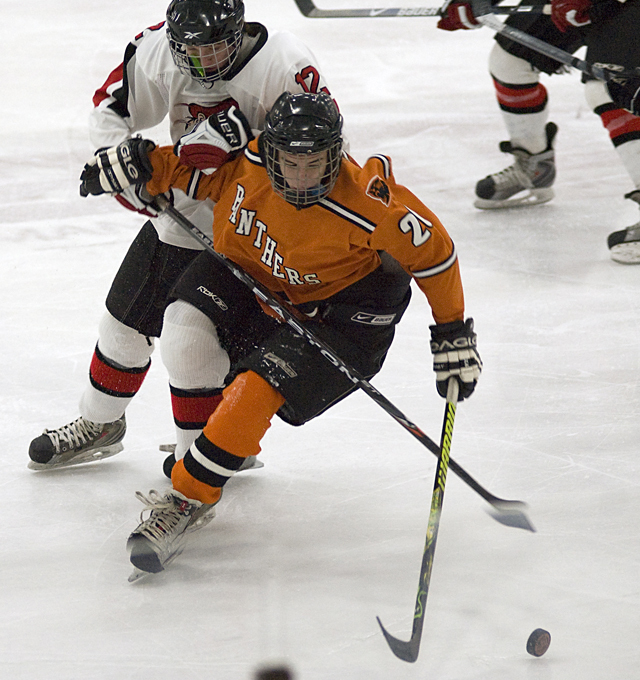 Dan Ricke and Sam Coburn scored just 14 seconds apart to flip the score in Park Rapids' favor, then Tucker Coburn iced it with an empty netter. 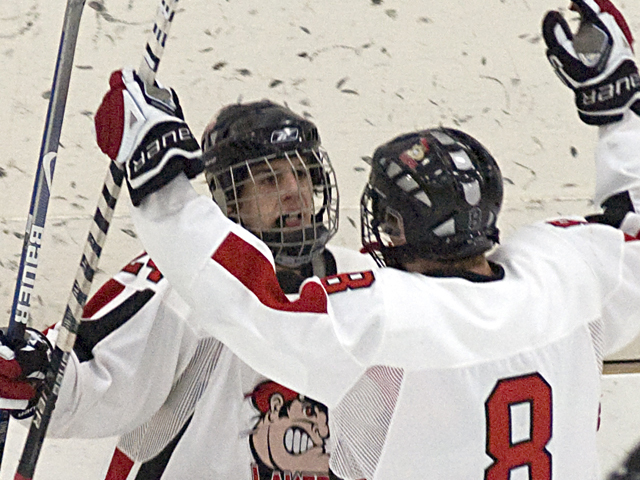 The Coburn brothers lead the Panthers in scoring, both with more than 60 points on the season. Tucker, a senior, has a team-leading 30 goals (61 points) while Sam, a sophomore, paces the team with 67 points. "They're just fun to watch. 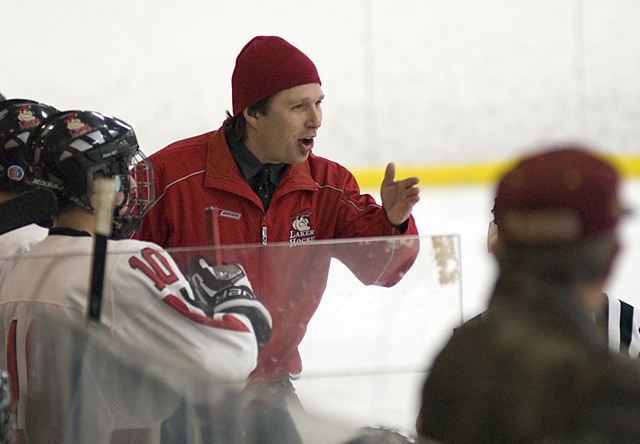 Sometimes you're not even a coach, you become a fan when they're on the ice," Stanke said. "They played hard and they're great guys. There's no attitude there. They're all about the team." Not only did they avenge an early home loss to the Lakers, but the Panthers (16-6-2) claimed the Mid State Conference title with the victory. Both teams entered the game with 6-1-0 records in conference. "This is always a big rivalry with Detroit Lakes," Stahnke said. "Coming back was huge and we have a lot of momentum heading into the playoffs now. This was huge." That final burst of energy carried over to the post-game celebration. The Panthers swarmed goaltender Ryan O'Mara, who made 16 saves, while a big visiting crowd gave the team a standing applause. Shouts and roars echoed off the walls of Kent Freeman Arena as the Panthers took the party to their locker room. "All (the conference games) are rivalry games," Tucker Coburn said. "We've won it all three years I've been here, so it feels pretty good." For much of the first 46 minutes, it appeared as if the host Lakers (14-7-2) would be the ones enjoying the postgame festivities. 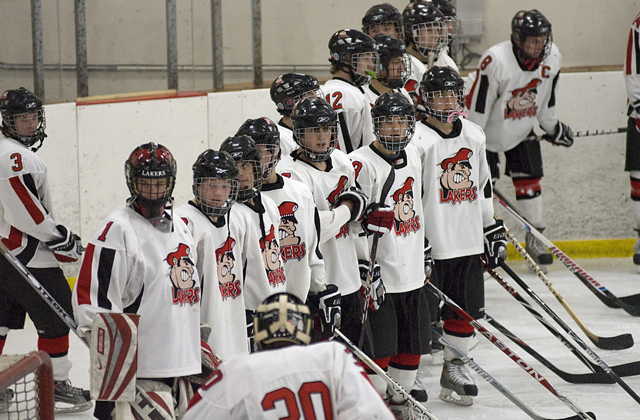 Despite being outshot 30-19, Detroit Lakes never trailed until the final minutes. 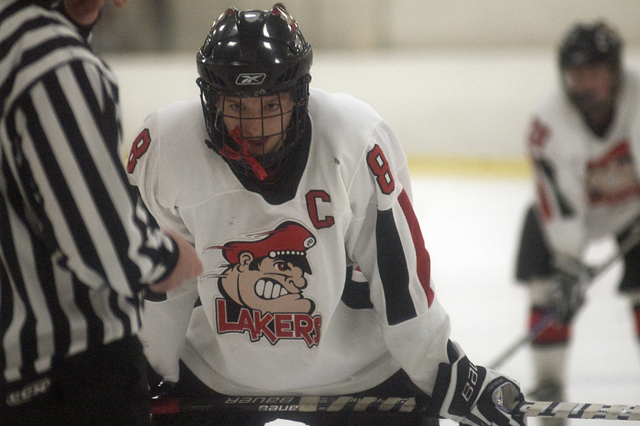 Junior sniper Tanner Lane had a hand in all three Lakers' goals, netting the first and third and setting up Alex Phelps for the other. 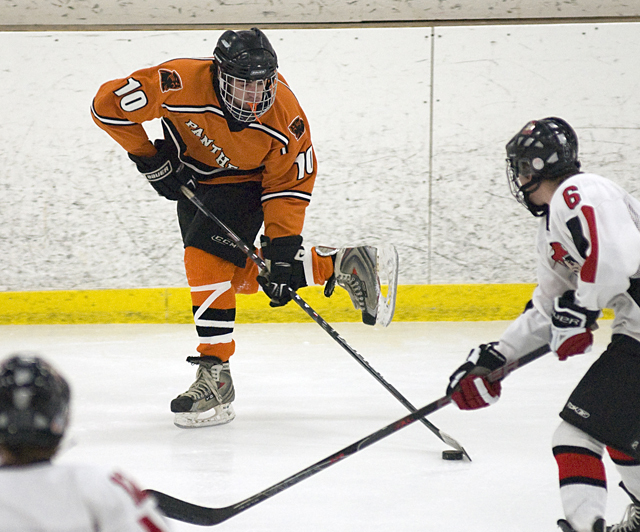 Lane upped his Class A state-leading point total to 87 points (48 goals and 39 assists). 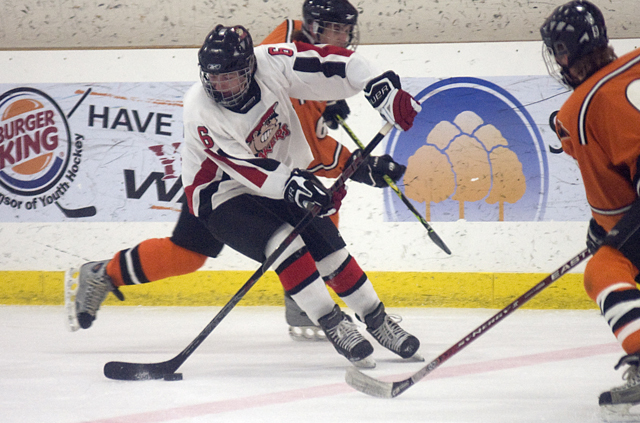 "With his skill, speed and size, just give him a little bit of hockey knowledge as to what he can do with it, and he's really taken it to the fullest," Detroit Lakes coach Chris Denardo said. "He does it every night." 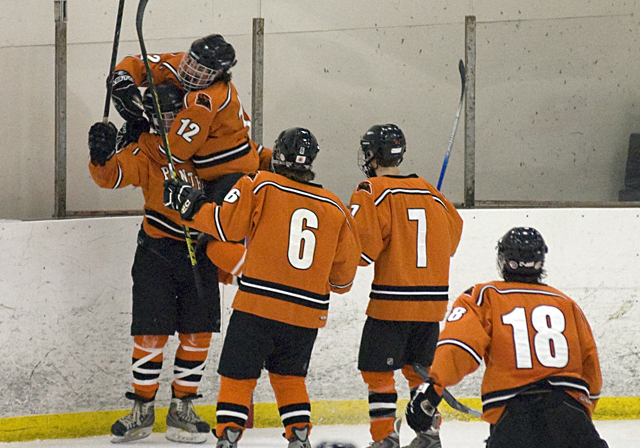 But nearly every time Detroit Lakes scored to take the lead, Park Rapids came right back. Lane opened the scoring midway through the first period, but Park Rapids' freshman Ian Johnson tied it up just 2:27 later. Then, after Phelps ripped in a goal in the first minute of the second period, Ricke responded with the tying goal just 2:32 later. 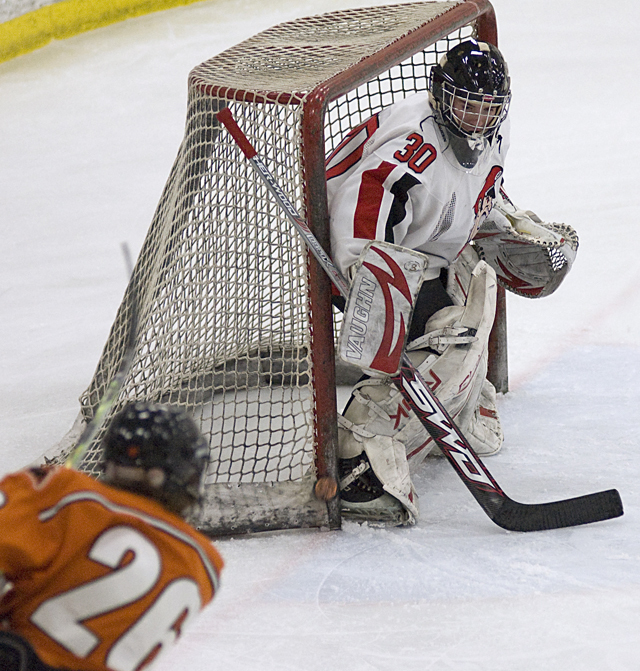 When Lane again regained a one-goal lead for Detroit Lakes at the 9:47 mark of the second, it seemed only a question of how long it would take Park Rapids to rally. As it turned out, nearly the rest of the evening. 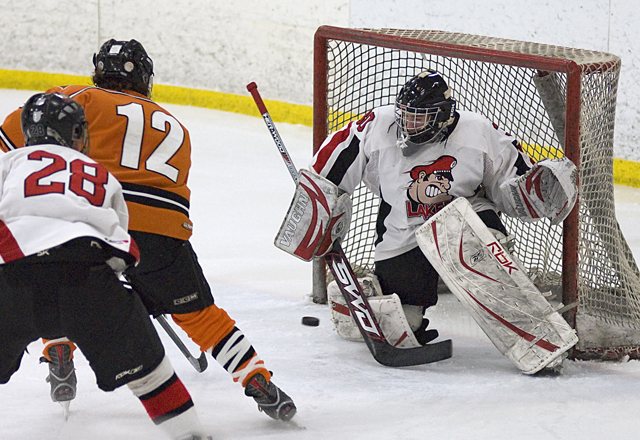 Detroit Lakes held the 3-2 lead until the final fateful minutes. Lane was so impressive he netted the No. 1 star despite playing for the losing team. 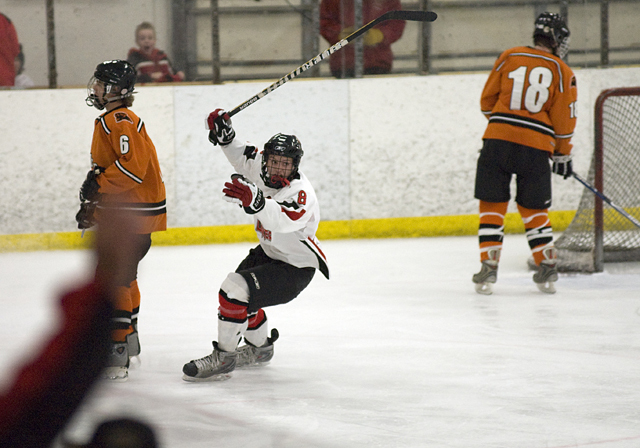 He had a hand in all three Lakers goals, scoring twice and setting up Alex Phelps for the other. The junior's size and speed were apparent right from the start and forced the Panthers' to shadow him throughout the game. 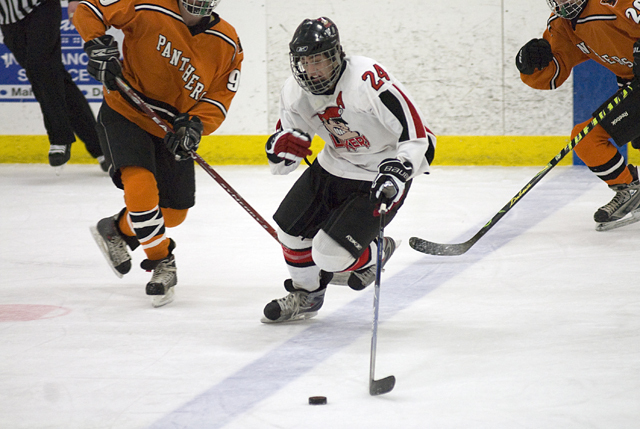 The senior forward tallied two goals, each of which tied the game for the Panthers. None were bigger than his final goal, a shot that eluded Detroit Lakes' goaltender Andrew Friesen to tie the score at 3 with just more than four minutes remaining. Just a sophomore, Coburn proved his skill in scoring the game-winning goal just 14 seconds after Ricke had tied the game. Coburn isn't a big player, but he is very shifty and has great hands. 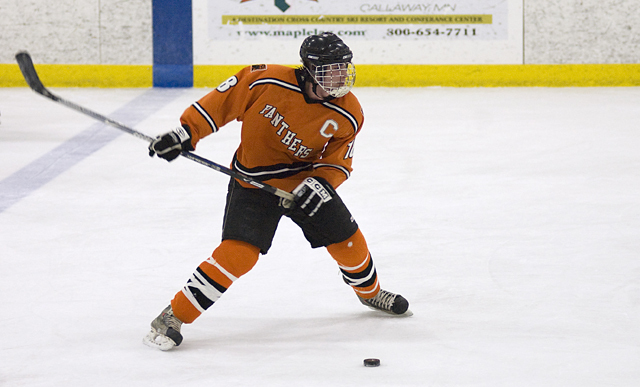 He leads the Panthers in scoring with 67 points (29 goals and 38 assists).